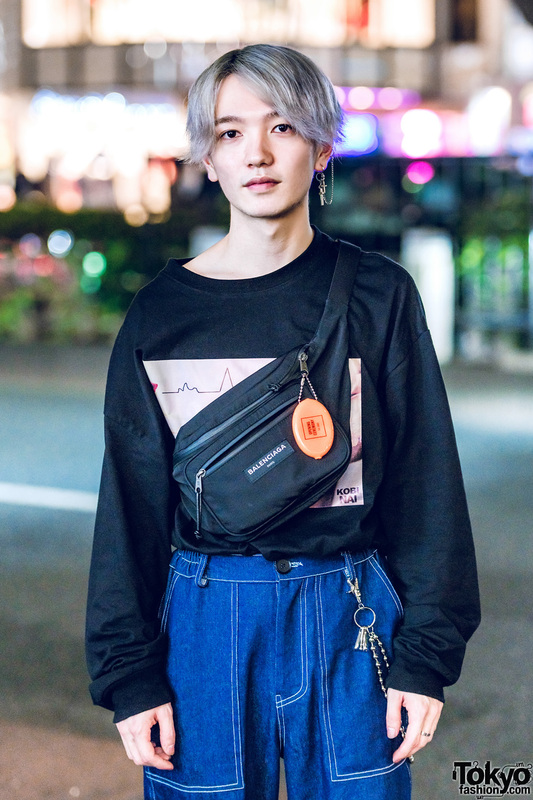 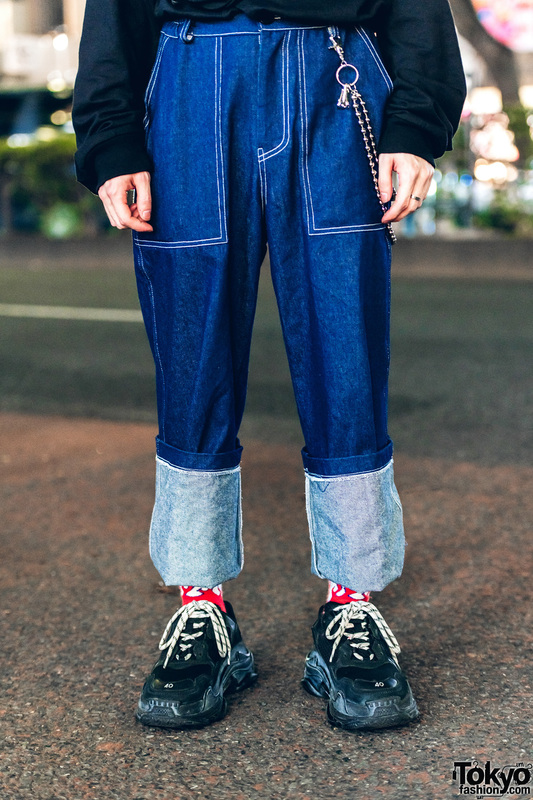 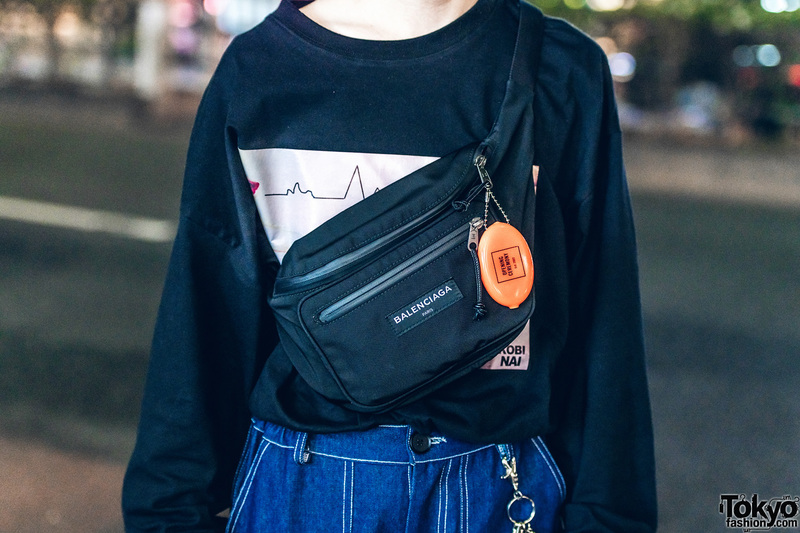 Here’s Taishin, a 20-year-old hair stylist, whose casual-cool street style caught our attention in Harajuku. 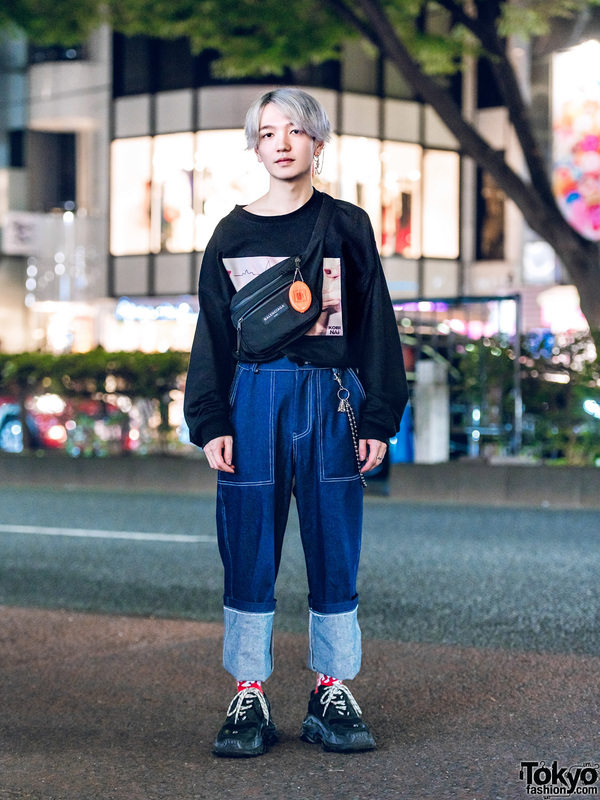 He stepped out in a Kobinai black sweatshirt with a graphic print on the front. 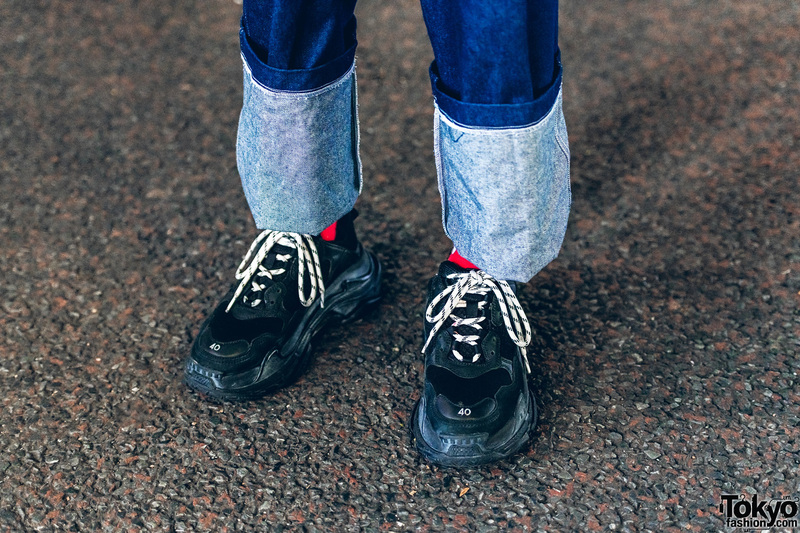 Taishin also wore Basic Cotton denim blue jeans with the cuffs rolled up, revealing red printed socks and Balenciaga black lace-up sneakers. 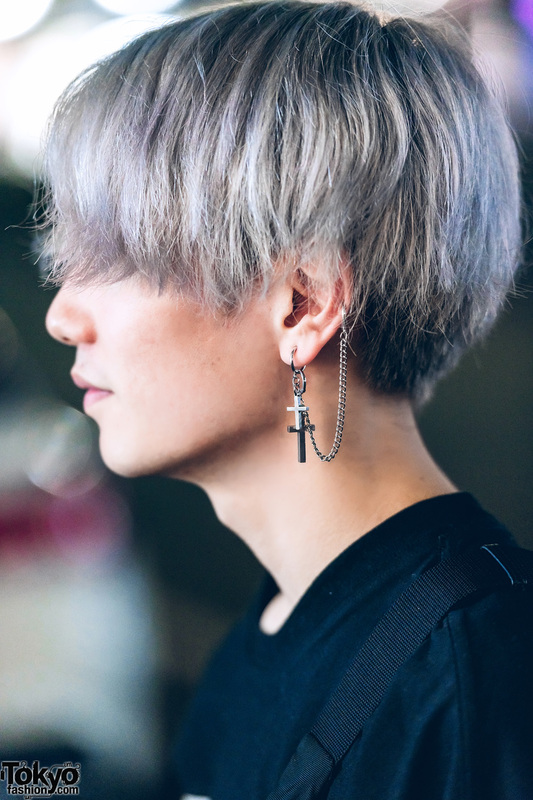 A silver chain, a silver ring, ear piercings with crosses and a dangling chain, and a Balenciaga black crossbody bag completed his look. 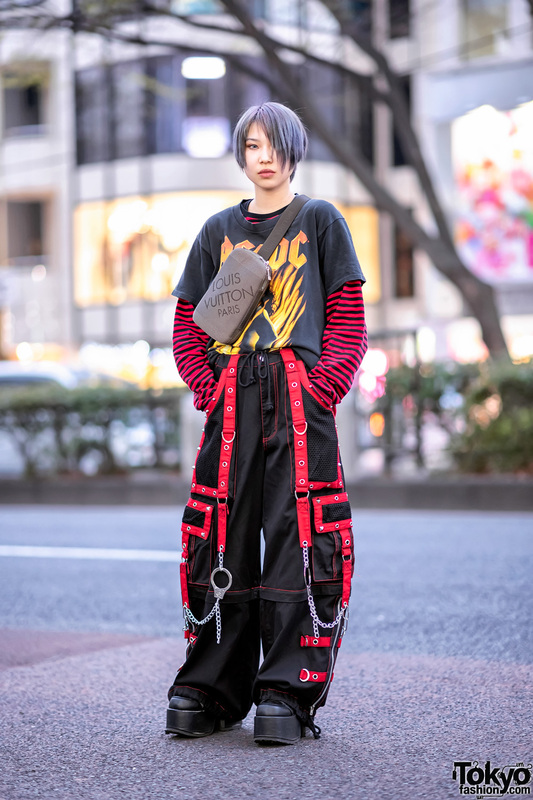 Follow Taishin on Instagram to keep up with his social media updates.